By One Direction. Arranged by MJ Summer. 10 pages. 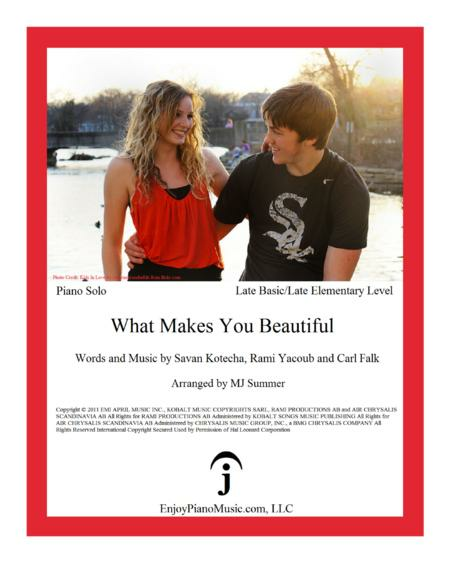 Published by EnjoyPianoMusic.com, LLC (H0.128229-221034). For young children, teenagers, to adults young at heart--this arrangement uses F major pentascale position throughout. It is great for occasions like recital or talent show. Visit EnjoyPianoMusic.com for more arrangements of piano students' favorites and popular titles.